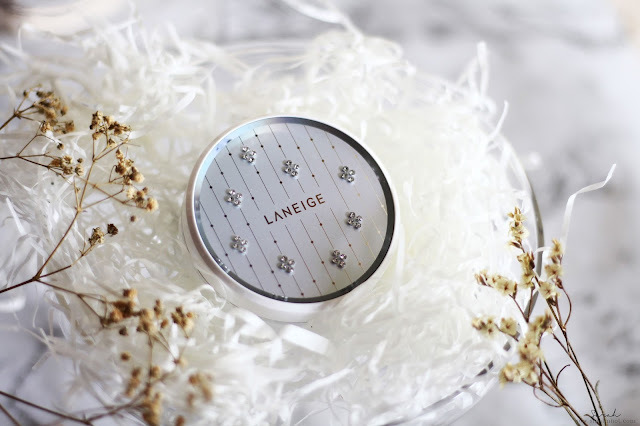 Laneige, a pioneer of the BB Cushion is dropping two new cushions that will stoke the hearts of those who live with uneven skin tones. with the NEW Skin Veil Base Cushion in Light Green and Light Purple. their launch also introduces a new funky case with everyone's favourite BB Cushion adorned with Swarovski's finest sparkles ! 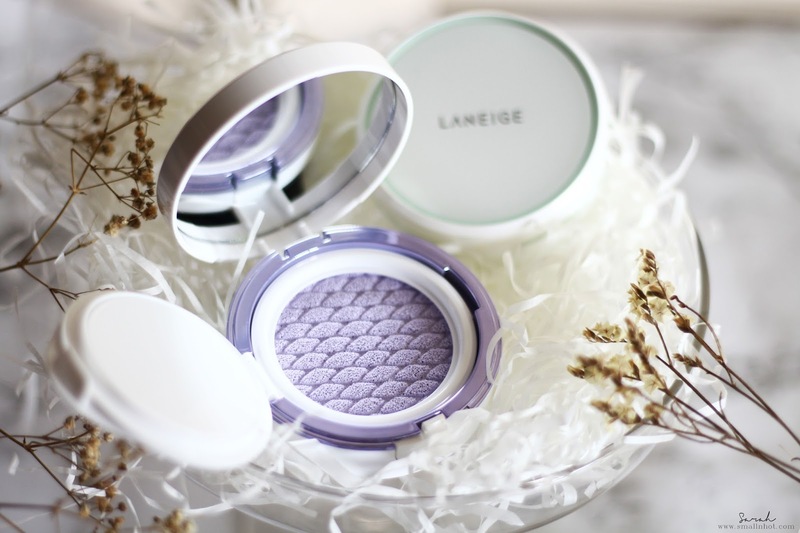 Laneige Skin Veil Base Cushion No.60 Light Green SPF22 PA+++ is recommended for reddish, acne-prone and easily irritated skin. 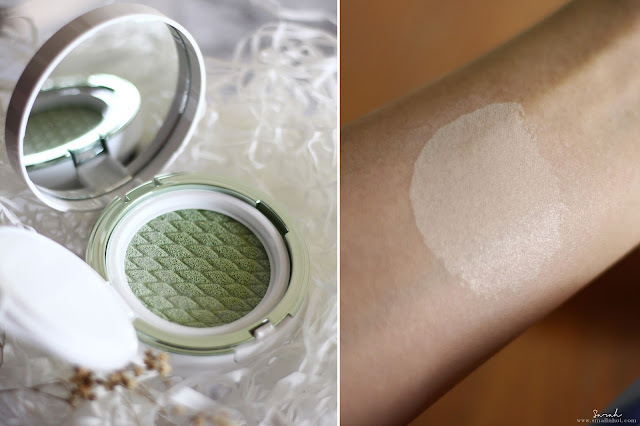 The greenish tone of the makeup base brightens and evens out the blemished and red skin. You'll LIKE it for the thin and light formula which evens out redness on the skin. You'll HATE the fact that it can only provide a light to slight medium coverage, definitely not for serious active blemished skin. As you may have figured it out, the Laneige Base Cushion in Light Green is perfect for redness. The formula feels pretty much like their 3rd gen BB Cushion, light and sheer. If you have slight redness around the nostrils or on the cheeks, this light coverage base cushion would take the edge off, but if you fancy something a bit more hefty, this might not make the cut. However, it's comparatively hydrating, so doesn't dry up your skin even after a long day of application or layering your makeup. Laneige Skin Veil Base Cushion No.40 Light Purple SPF22 PA+++ is recommended for skin tones that are dull, uneven or sallow skin. This color helps to brighten yellowish tones, making skin look clear and clean. You'll LIKE it if you have yellow and dull skin tones. You'll HATE it because it's basically an extra step. A heavy duty foundation can basically fix the yellow skin tone issue. 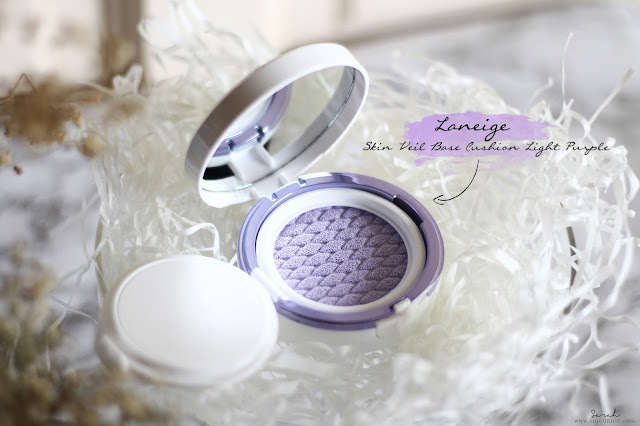 If you have the typical yellow East Asian skin tones, then reach out for the Laneige Base Cushion in Light Purple. 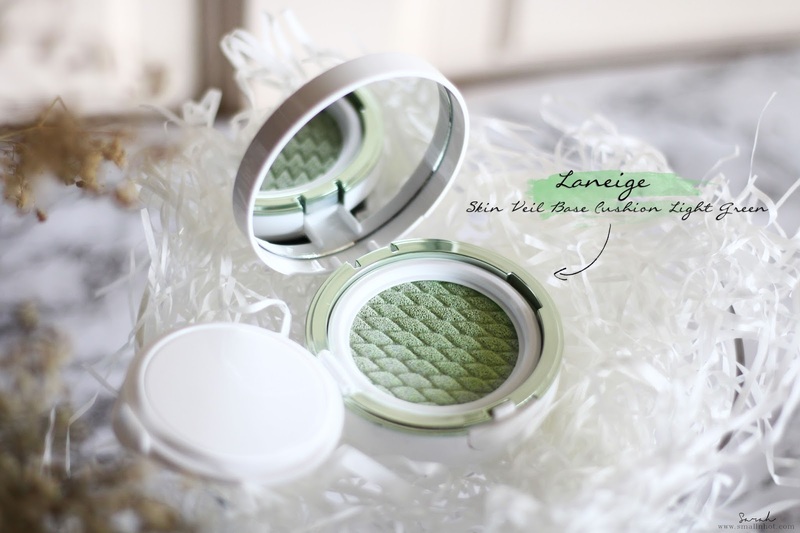 Formula and texture wise is pretty much the same as the 3rd gen BB Cushion and also the Base Cushion in Light Green, light and sheer. 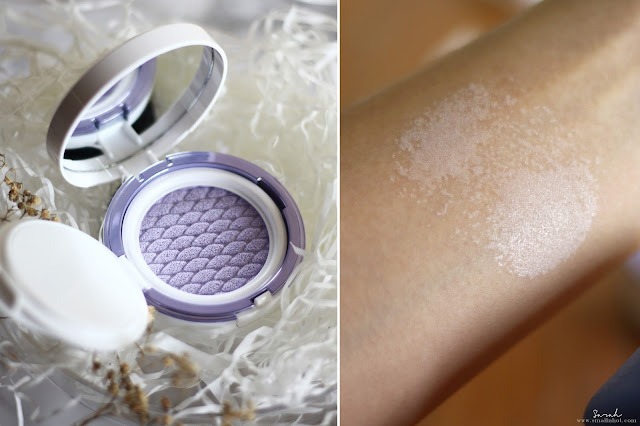 The new Light Purple base bad boy would pack a decent amount of coverage to correct that yellow and dull complexion on the skin. It's light and thin texture blends very well and makes your skin a great blank canvas to work on. Just a side note, pad this on sparingly because it might look like there's a white cast on your face if you go overboard with this.